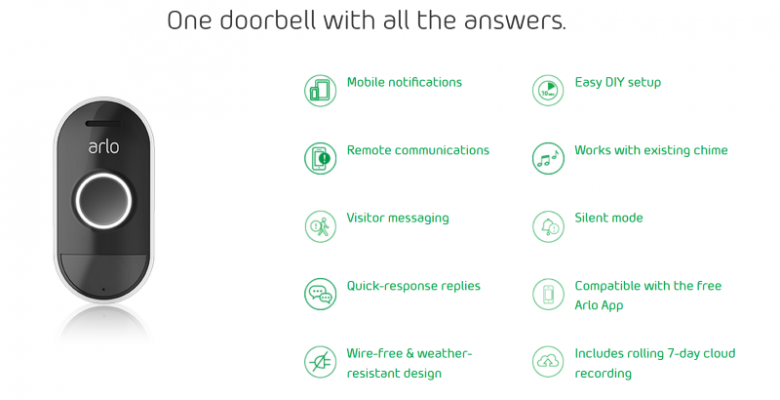 It shouldn’t come as a surprise that Arlo has entered the smart doorbell market – seems like a natural place for them to go given the rest of the lineup. What is surprising, is the $80 hardware cost, and the “free” 7 day rolling recording feature. Even if you want to up the storage and/or camera count, it’s still a compelling subscription cost. I just wish that it was wired (or PoE!) to remove the need for batteries. The Arlo Audio Doorbell lets you respond to visitors right from your phone. Why $80 is surprising? It’s not a camera – just a button….